Beautiful Vintage Flower Fairy Lady Image – Honeysuckle! This is a Beautiful Vintage Flower Fairy Lady Image! 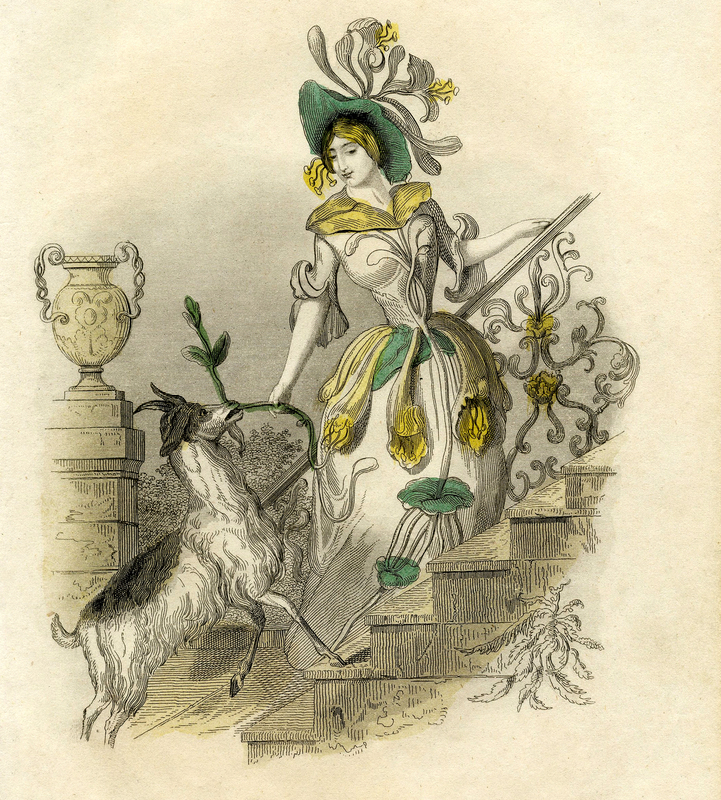 Shown above is a Honeysuckle Fairy and her pet Goat! Such a great looking Garden Style Image! A fun old timey piece for your Vintage Craft Projects! Retro Garden Lady Silhouette! Vintage Hair Tonic Image! Vintage House Plant Image! « Vintage Romantic French Couple Clip Art! Lovely, enchanting, and just a wee bit bizarre. I like it a lot! Ha! Yes … great description Janina! She is beautiful! I love this setting……..gorgeous!